As students across the country revise for their exams, it’s prime time to consider how to give UK pupils a proper send-off. Whether students are leaving primary school, secondary school, college or university, school leaver hoodies are a thoughtful, long-lasting way for students to remember their academic years and fellow classmates with fondness. What are the benefits of leavers hoodies? Personalised hoodies have been popular with students throughout the UK, from the age of 5 to 25. So, what is it about these garments that make them a must-have farewell item? An Excellent Replacement for ‘Shirt-Signing’:On the last day of school, everyone remembers uncapping a marker pen and going to town on each others’ school shirts. This universal need to gather the names of people you’ve spent the past few years learning alongside is a way to stir memories and is a tangible symbol of the school community to look back on. A leavers hoodie works in much the same way, but is a more high-quality, wearable and legible answer to a signed shirt. Practical Item of Clothing: Hoodies are comfortable, everyday items that you can wear for multiple occasions: from a cold winter’s day, to a casual shopping trip, to a weekend slouching around the house. Long-Lasting Memento: Souvenirs don’t have to be tacky or losable. Instead, an item of clothing has the durability to last you long into the future, especially if it’s manufactured to high standards by a professional company, such as Midway Clothing. Hoodies have superb sentimental value, allowing you to cherish the names of everyone in your school or college community for years to come, and also proudly display the name and logo of your educational establishment. Everyone Loves Personalisation: In a world where clothing is mass-produced, having an item created just for you and your community is a special feeling that many people appreciate and enjoy. There’s something about displaying your establishment’s logo, colours, and classmates’ names that make for a highly-personalised, unique garment. It also instills a sense of identity in leavers, and may help make the initial few months away from school a little easier to digest. How do I create custom hoodies? 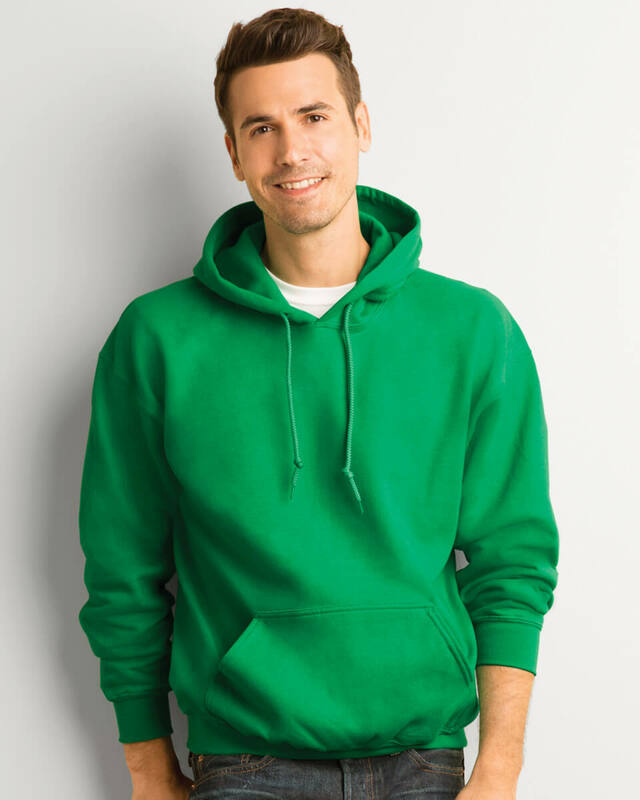 If you’re looking to design your own hoodie, either for personal use or for an entire year group, it’s important to know where to buy leavers hoodies and which companies will offer you the design flexibility for a truly personal item. 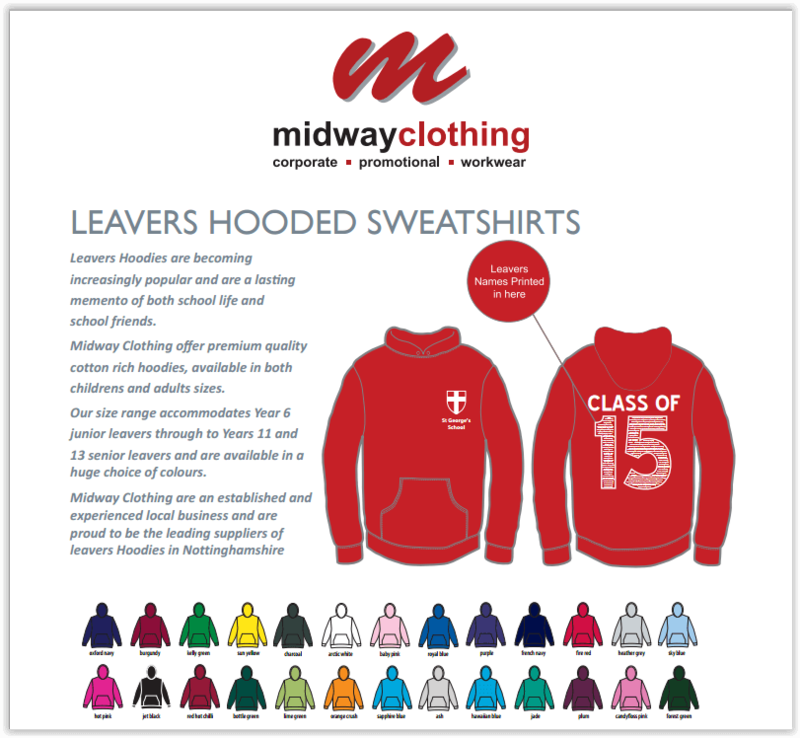 Midway Clothing have been marketing, preparing and producing leavers hoodies for schools across Nottinghamshire and beyond. Our garments are ethically-sourced, manufactured to a high specification, and WRAP approved. Our experts will emblazon your hoodies with school/university logos and names, and also the names of leavers – delivering this effect with either embroidered or printed services. With summer 2018 approaching, it’s time to create and produce your establishment’s leavers hoodies. Midway Clothing have a wealth of experience in the creation of personalised clothing and merchandise, and are experienced in both printing and embroidery work on a mass scale. We also offer a vast array of other services, such as production of custom promotional items, t shirt printing, and safety and workwear provision. Discuss your needs with our friendly team – we’re happy to offer advice and guidance about any of our products or services. « Why Is Safety Clothing Important in the Workplace?